I've written about Mindy Dubansky's fascinating collection of "Blooks" before. There is now an exhibition of selected blooks from her collection of over 600 at the Grolier Club in New York City. 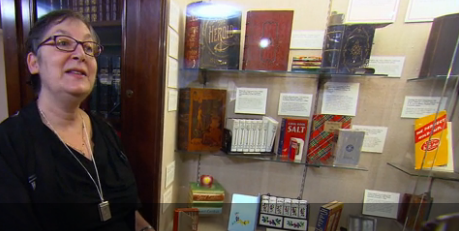 You can view Mindy speaking about the exhibition and her collection on CBS Sunday Morning here. You can order her book on Blooks here.